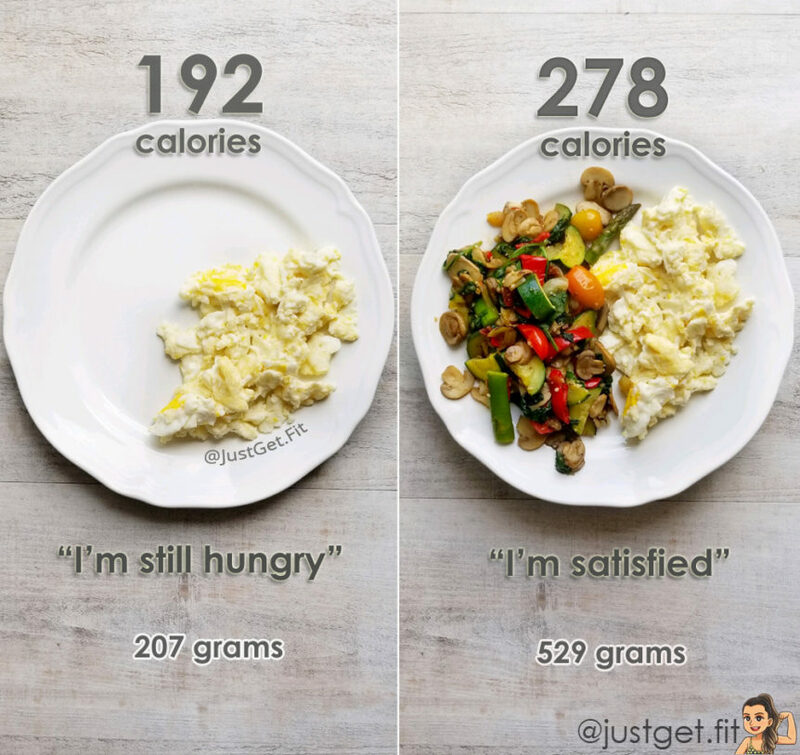 278 CALS (529 grams of food) vs. 192 CALS (207 grams of food). Dieting/cutting back doesn’t mean being hungry all the time. I’ve eaten the left meal plenty of times before and generally within 30 minutes i’m hungry again. So, instead of setting myself to seek out more food within the hour, I prefer to increase the volume of my meal. I’m definitely not ashamed to say I have a big appetite. Or, that I hate the feeling hungry. When I cut back my calories I maintain the volume of my meals with veggies. This doesn’t just apply to breakfast, but lunch and dinner as well! Doing this helps me to get a lot of micronutrients into my diet and stay full for a lot longer. I try to eat healthy and do exercise. I do good for breakfast and lunch but terrible for dinner. What can I do to start seeing my goal? Hey there! I recommend signing up for my free 30 day challenge or searching “weight loss” on my site. It’s the most recent post :). I also offer personal one on one nutrional coaching. You can get in touch with me via the contact button in the menu. Cheers! I want and need to get this weight off.